This Wordless Wednesday unfortunately needs a “set-up”. Meet Jack. We adopted him 4 years ago and they told us he was a Jack Russell mix. The only way he has Jack Russell in him, is if he swallowed one because he is now the size of a small horse. However, he thinks he is the size of a Jack Russell…as seen below. Jack at 1 yr old! That photo was when he was 1. He’s bigger now. But still has no idea how big he is. Yes, he still sits in our laps. 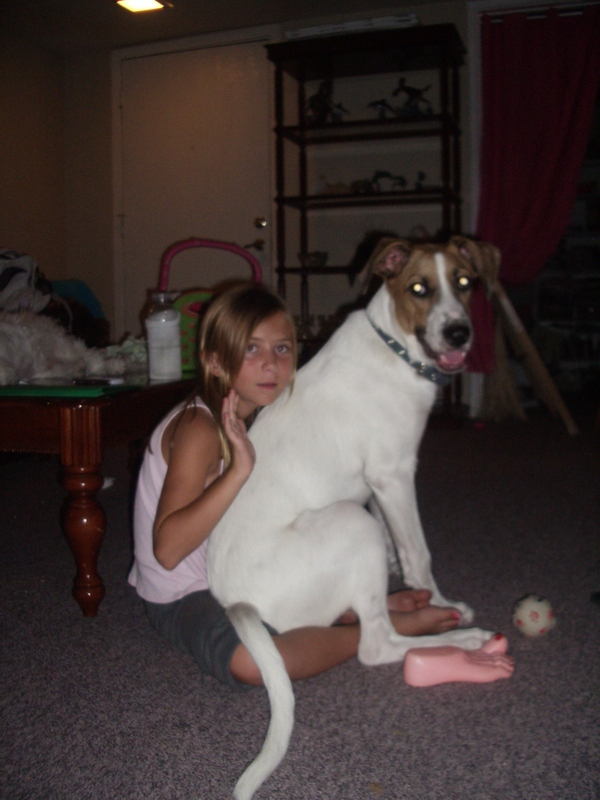 Don’t sit on the floor in our house or you get a giant dog sitting on you. And guess what Jack’s favorite thing to do is? Yep, run…like the wind…through the house (We think he might have Greyhound in him). Yes, he’s like a bull in a china shop…or as I say…a horse in a house!